James Zarling | Excel Mechanical, Inc.
Jim came to Tucson with his wife Terri from the Midwest and settled into a life here and just celebrated their 39th Anniversary. They had two children Jessica and TJ – and now grandchildren. Jim worked hard in the heating & cooling trade to provide a good life for his young family. Back in 1986 he decided it was time to start his own company. Starting off with two guys and a truck – Excel Mechanical has become one of the most respected HVAC & Plumbing Contractors in So. Arizona – being a past finalist for both the Cornerstone Award for Subcontractor of the Year and for the Copper Cactus Award for both Community Service and for Growth. If there’s one thing he sticks to… it is “as much as this Community has given me… I always need to remember to give back to them.” He gives his time and his talents. In addition to financial support he has served on the board of the Boys & Girls Club of Tucson since 1998 where he has Co-Chaired Board Development and the Youth of the Year Program. He served as their President in 2005 and now sits in the capacity of Senior Board. 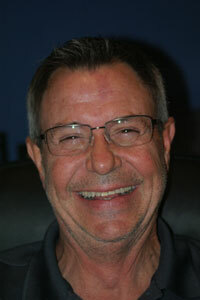 He has served on the board of Goodwill Industries of Southern Arizona since 2004. He has been a Centurion since 2006 and served as Chair of Special Events… You can always find him busy doing something during their annual Event. A member of the TMC Foundation Board since 2007 he Co-Chaired their Capital Campaign. In 2009 he started with the Pima County Workforce Investment Board and chaired their Youth Council. Also in 2009 he worked on the board of the Reid Park Zoological Society and helped to raise over $1M for their capital campaign. In addition to all of these Jim has most recently taken a seat on the Pima College Business and Construction Advisory Council. Jim personally supports, as a financial contributor, the Ronald McDonald House, U of A Cancer Center, El Rio Health Center, American Red Cross, Reading Seed, Catholic Community Services, VFW, Community Food Bank, Emerge, TIHAN, and the Susan G Komen Race for the Cure. As an employer Jim works hard to mentor us both as employees and as individuals. He helps us work on expanding leadership skills, training, education, promotion from within, and emphasizes participation, volunteerism and community involvement. Based on his lead, Excel Mechanical works to carry on this legacy as well, by supporting organizations such as Toys for Tots, 88-Crime, Tu Nidito, St. Elizabeth’s Health Clinic, Leukemia & Lymphoma Society, AZ Oncology Foundation. We name sponsor two Golf Tournaments – Battle for Breasts (proceeds to Susan G Koman) and Chris Whitson Memorial (proceeds benefit numerous Children’s Organizations – EEF, Boys & Girls Clubs), the Tucson Rodeo Parade, Bikers Against Child Abuse, Make A Wish, AVIVA Children’s Services, Children’s Miracle Network, Project Healing Waters, Pins for Pals, Special Olympics and sponsoring numerous Youth Sports Teams… most recently the Rio Rico Cardinals Youth Football team. Currently in the 30th year of business Excel is in the process of fine tuning a program to honor this milestone with a nod to Jim by giving away to needy families or veterans - air conditioning, water heater, or evaporative cooler installations.